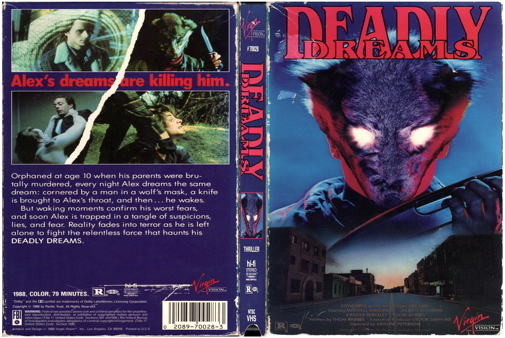 A young man is tormented by a terrible recurring nightmare of a knife-wielding hunter, wearing the mask of a snarling wolf, who places the razor-sharp blade at his neck. Just as the wolfman is about to cut his throat, the man awakens in a cold sweat. A decade before, his parents were murdered by a similar slasher on Christmas Eve. As time passes the dreams become more intense and soon he becomes totally paranoid, seeing the fearsome apparition when he is awake. His girl friend and his best pal do all they can to keep him sane, but it is to no avail, until the truth is finally discovered.